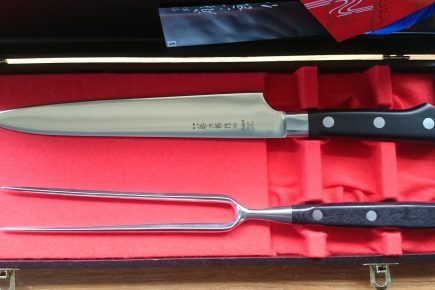 Tojiro DP Set with a Chef knife 210, Petty knife 150mm and a Paring knife 90mm. 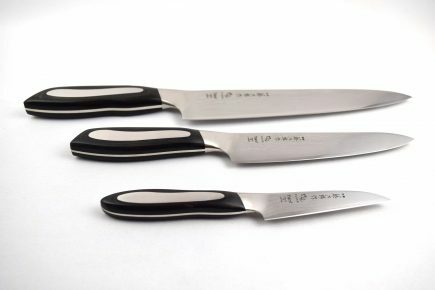 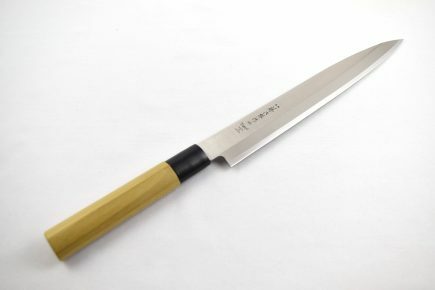 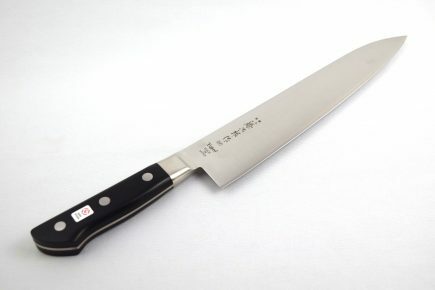 The Tojiro DP Range range is made out of stainless VG-10 steel core clad in softer stainless steel. 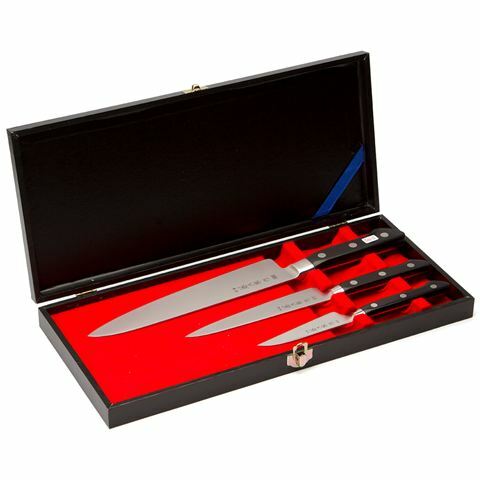 The set comes in a nice box.